first had, no interest in these palettes. I thought it was just a gimmick. After getting that first one I knew that these palettes were worth every penny and all the hype. So after actually putting a dent in a few of the shades from the more cool toned, Semi-Sweet Bar, I thought it was time to pick up the OG! The shade that I had been lusting after for a while was Cherry Cordial. This rich, chocolate/cherry shade was what all my matte crease color dreams are made of. All the rest were the chocolate on top. These shades are made with cocoa powder infused into them, creating a chocolate smell and an antioxidant rich shadow. I even got some on my lip when using Champagne Truffle as a face highlight and it tasted sweet too. Natural light is on the right and flash is on the left. The whole palette is stunning and every shade blends well. 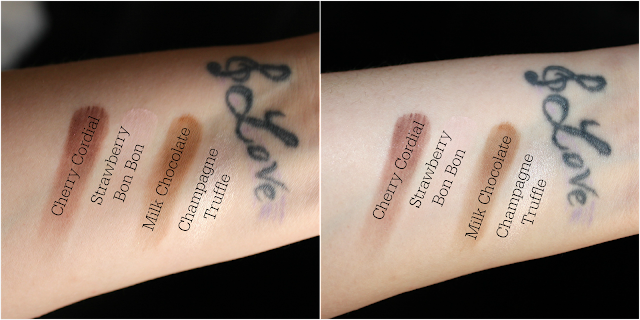 The Chocolate Bar Palette has 6 mattes, 1 matte with pink glimmer and 9 shimmers. 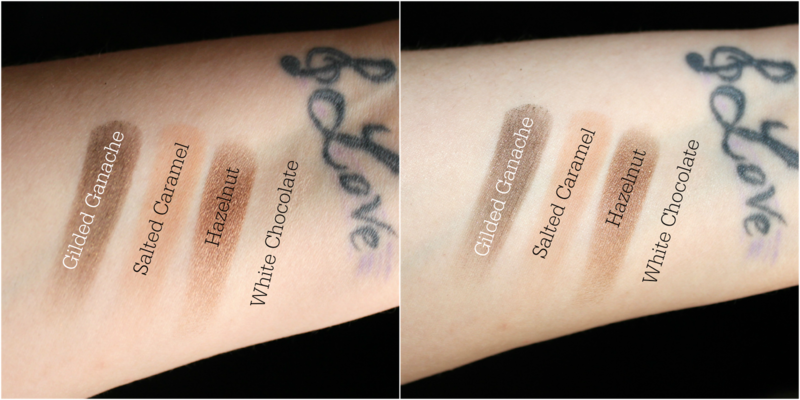 *Salted Caramel is an amazing crease shade that makes blending a breeze. *Marzipan is a buttery, gold toned pink shimmer that works for so many looks. *Gilded Ganache makes for a gorgeous smokey eye shade that is not your typical shade. *Candied Violet was a surprise shade that I am a little obsessed with. I didn't care about this shade when buying this palette, but ended up really liking it. *Cherry Cordial was always going to have my hear unless the formula was awful. However I am loving it in my crease for a blown out, all matte, warm toned eye. *Champagne Truffle This shade...THIS SHADE!! O.M.G...I use this shade as a face highlight, to open up the eyes in the inner corners, to lift the tip of my nose, everything! I wish Too Faced did this as I stand alone highlight because it blows every highlighter they actually have out of the water. I am so glad this one is a bigger size that the rest of the shadows. I think this is an amazing palette that you can create a lot of looks with. 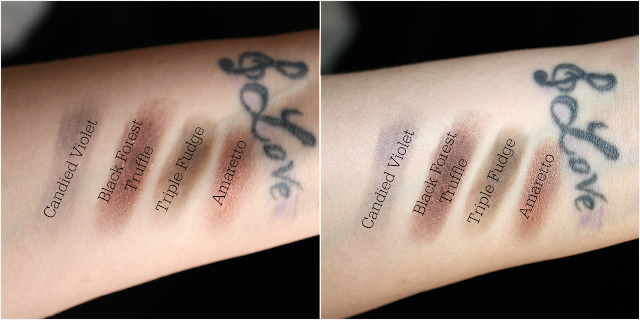 You can do vampy, smokey eyes to natural, angelic looks using this palette. If you were searching for one palette to get you through every day life, to special events, this may be the one. 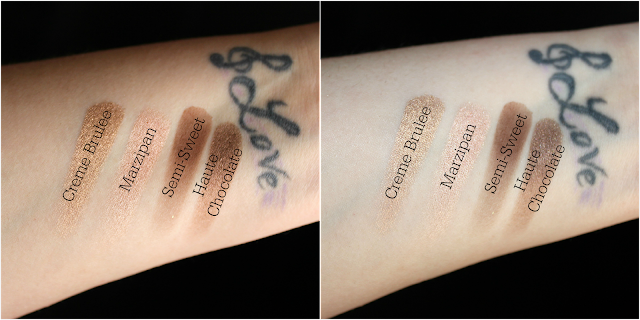 The shades would look good on most skin tones and wear so well throughout the day. Too Faced has amazed me yet again with there Chocolate Bar range. Now whether or not I can resist the Chocolate Bon Bon Palette...only time will tell. To see how I created this look using the Chocolate Bar Palette check out Monday's post, here. like? Tell me in the comments. I'd love to know which shade you'd like to see me create a look with!